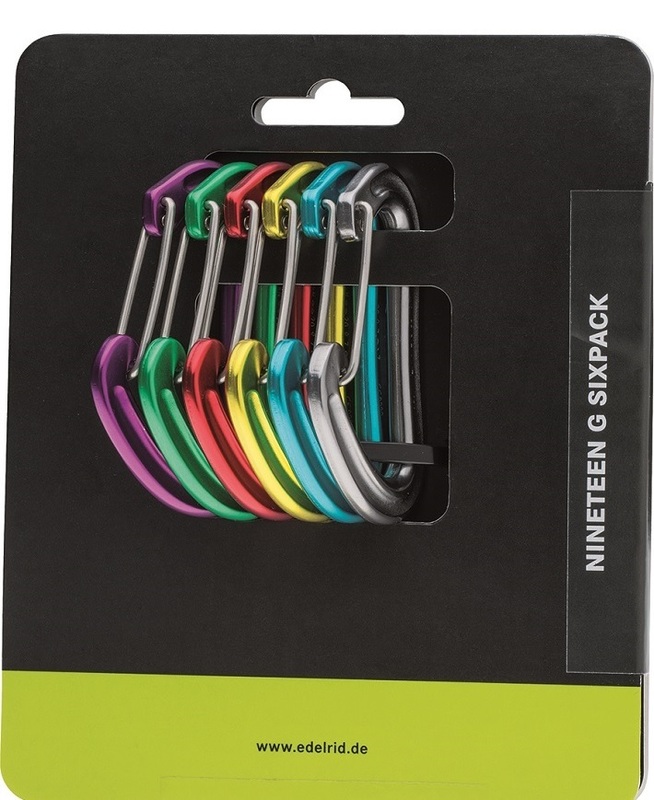 Edelrid’s Nineteen G Sixpack of carabiners is the world’s lightest six-pack of full-strength carabiners. It’s may be the lightest six-pack of any kind, for that matter. Comprised of a robust aluminum alloy, the entire pack of wire-gate ‘biners weighs a mere 117g. But they will hold you: the Nineteen Gs even went through a hardening treatment for extra durability. 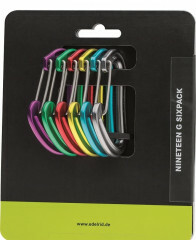 Great for personal anchors, quick-draws, or clipping things to your pack (and being around for an emergency). This isn’t your abusive father’s 6-pack, thank goodness. CE 0333 Certification, the ultimate in safety certification. Color scheme matches cams, which further increases your climbing game by being color coordinated. The lightest full-strength carabiner on the market.